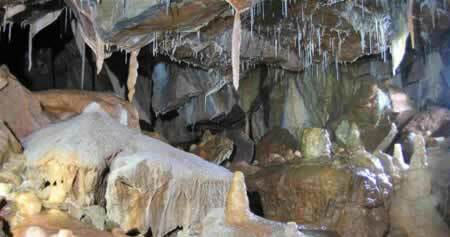 To promote the Cave Instructor Certificate (CIC) as a professional qualification in Britain and abroad. To promote good practice in caving technique and instruction. To provide a forum for the exchange of ideas and to disseminate information relevant to caving technique and instruction. To represent and promote the views of CIC holders to the national and regional bodies of caving. To foster and strengthen links with all relevant national and regional bodies and caving clubs. To contribute to the development of the CIC scheme, and provide support for trainee caving instructors. To produce and maintain a directory of members, and provide support to their role as caving instructors. TRAINEE MEMBERSHIP is open to aspirant cave instructors who have registered for the CIC scheme with the British Caving Association and completed an approved CIC Training Course. Benefits of trainee membership are the same as those for full members including equipment discounts, but exclude use of the logo and entry on the freelance list. Membership does offer a valuable opportunity to establish contact with experienced and established instructors and attend training workshops prior to assessment. To apply for membership please use the 'Contact us' form to supply your personal details and request an application form.